Vietnam National University HCMC (VNU-HCM) English Proficiency Test, VNU-EPT for short, is organized by VNU-HCM English Testing Center (VNU-ETC). Depends on the number of candidates, VNU-ETC organizes the exam at its location or cooperates with other organizations in different locations. Candidates can find information of the VNU-EPT on the websites of the VNU-HCM Undergraduate and Graduate Department and that of VNU-ETC. The VNU-EPT is used to assess the English competence of undergraduate and graduate students in VNU-HCM. The VNU-EPT is also used to assess students’ English proficiency for other purposes prescribed by VNU-HCM, as well as to assess that of other individuals or organizations outside VNU-HCM upon request. Candidates can register online at the VNU-EPT website or submit a registration form together with a fee at VNU-ETC or other test sites. 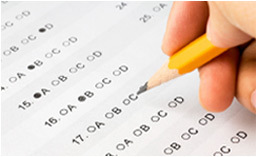 Candidates can receive admission vouchers 1 to 2 days prior to the test day. In case VNU-ETC cannot organize the exam on the announced date, VNU-ETC and other test sites must inform the candidates and return the examination fee or transfer the fee to the next examination within 7 working days before the exam. In case a candidate cannot attend the exam because of his/her personal reasons, he/she must inform at the test site in order to reschedule the exam no later than 7 working days before the exam. VNU-ETC or other test sites will not be responsible for any cancellation later than that deadline. Any case of absence or being late on the exam date will be considered as cancellation. After 15 working days since the exam date, the result will be posted on VNU-ETC’s website and/or other test sites. After 30 working days since the exam date, candidates can receive certificates and score reports at VNU-ETC and/or at other test sites. The VNU-EPT certificate is valid in 2 years since the issue date.